Driving from Chicago to New York this summer? Chances are good that your route will take you past Toledo. Four years ago my family traveled through Toledo driving Interstate 90 east to Washington DC. Planning that trip, I had difficulty finding things to do in Toledo with kids. However, parents driving Interstate 90 in Ohio this summer will find a variety of fun Toledo attractions for their families. 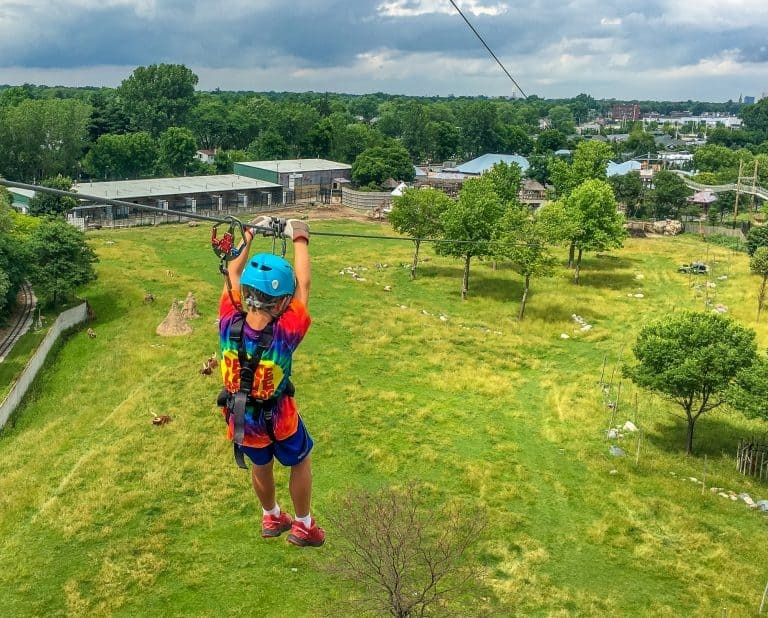 Recently, the Toledo Zoo and Aquarium has added a aerial adventure course with a zip line over giraffes and other African animals. Also, The National Museum of the Great Lakes has opened with self guided tours of a restored Great Lakes steam ship. 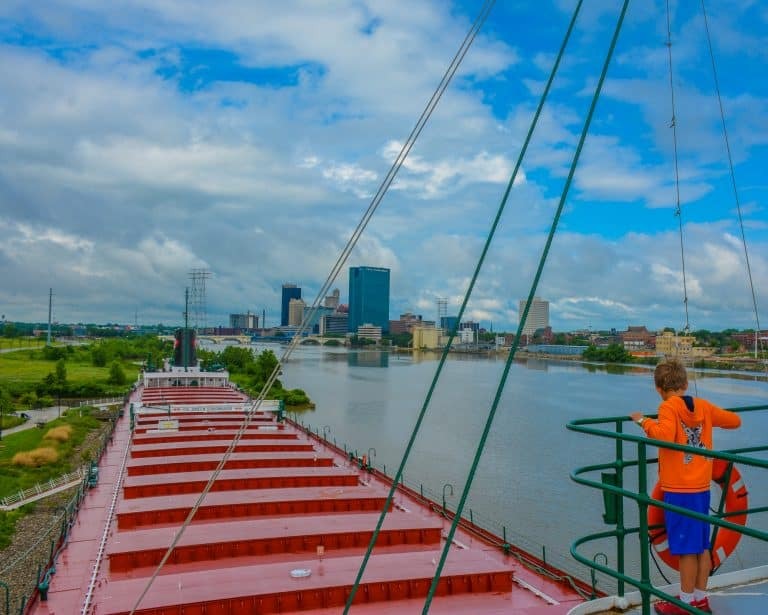 Now there are lots of things to do in Toledo, Ohio with kids; it is so much more than an Interstate 90 in Ohio pit-stop. Your family will want to plan a couple days in Toledo, Ohio to experience everything the city has to offer. 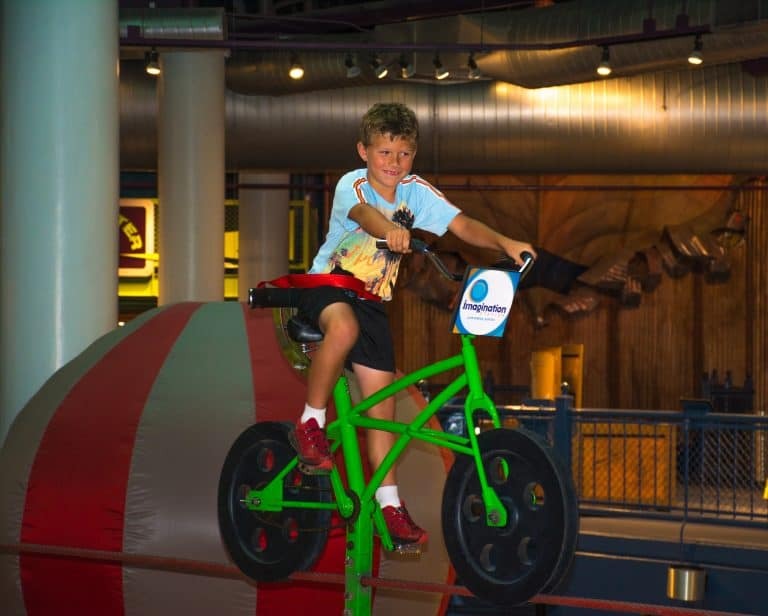 Related: Check out Trekaroo’s Top 10 Things to Do in Ohio with Kids! In a state with eight high-quality, AZA-accredited zoos, it takes something special to really stand out. 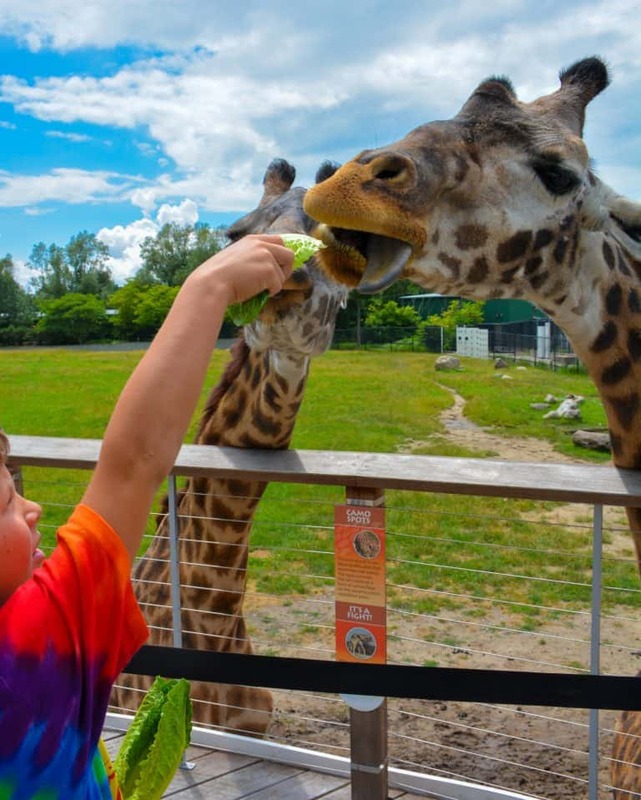 Not only does the Toledo Zoo and Aquarium have big animals like elephants and polar bears, they also have a giraffe feeding experience and an aerial adventure course complete with a zip line. There are multiple options at the aerial adventure course for visitors over 70 lbs. Big kids can climb through obstacles on the Challenge Course over three stories above ground or take a controlled plunge from 80 feet above the ground. All participants in the Expedition Africa Aerial Adventure Course cross the Sky Bridges and experience the zip line. The sky bridges pass over 30 feet above the cheetah enclosure, and the 763-foot zip line sends visitors flying high above giraffes and other African animals. There’s no shortage of unique animals to visit at the Toledo Zoo and Aquarium. Visitors of all ages can see penguins up close in their large enclosure just outside the aquarium. 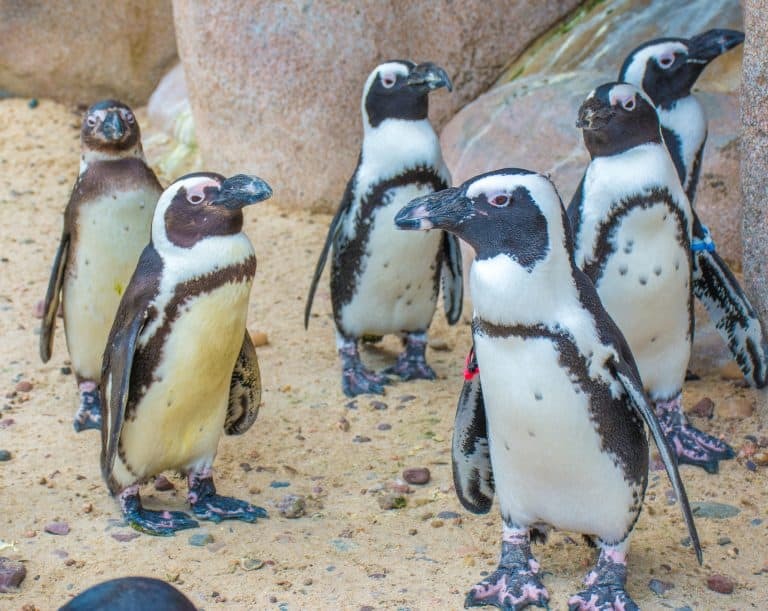 The penguins wander so close that staff are on hand to make sure no one reaches out to pet these cute birds. Another favorite for our family was to see the zoo’s two hippos walking through the water and playing. My son and I also had a memorable time feeding lettuce to the hungry giraffes at Tower Ridge right next to the zoo’s Arctic Encounter. Toledo is located on the southwestern corner of Lake Erie, in the heart of the Great Lakes, making it a great place for the National Museum of the Great Lakes. The museum is modern and interactive; it is full of exhibits telling the stories of people and industry on the lakes. A visit to the museum begins with an immersive video introducing each of the lakes. There are several hands-on exhibits in the museum that kids enjoy. My son was especially interested by an exhibit where he piloted a submersible, video game style, through the wreck of the Edmund Fitzgerald. Younger children were playing with black foam blocks representing coal during our visit; they loaded the blocks into cargo ships from rail cars and then used them to power a ship’s steam engine. 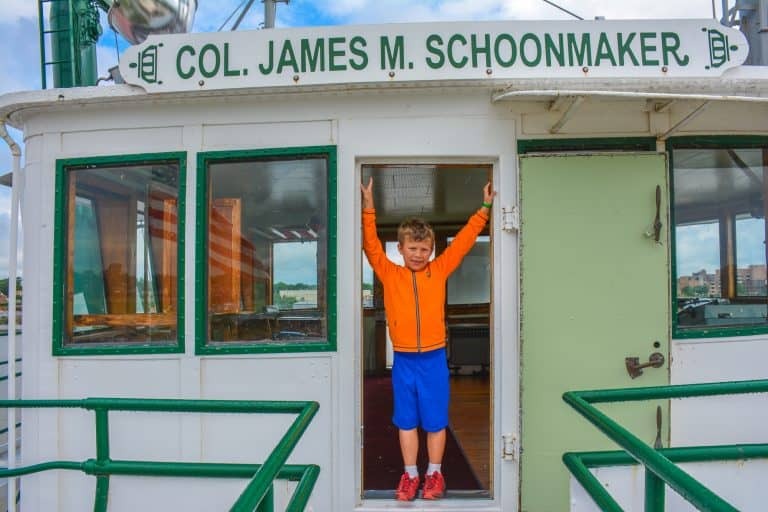 The real highlight of the National Museum of the Great Lakes is a self-guided tour of the Col. James M. Schoonmaker on the Maumee River. The Col. James M. Schoonmaker is a steam ship that operated on the Great Lakes for most of the 20th century, beginning in 1911. Visitors to the museum can walk through the ship’s engine room and much of the beautifully-restored ship’s quarters. Kids can touch almost everything in the ship. 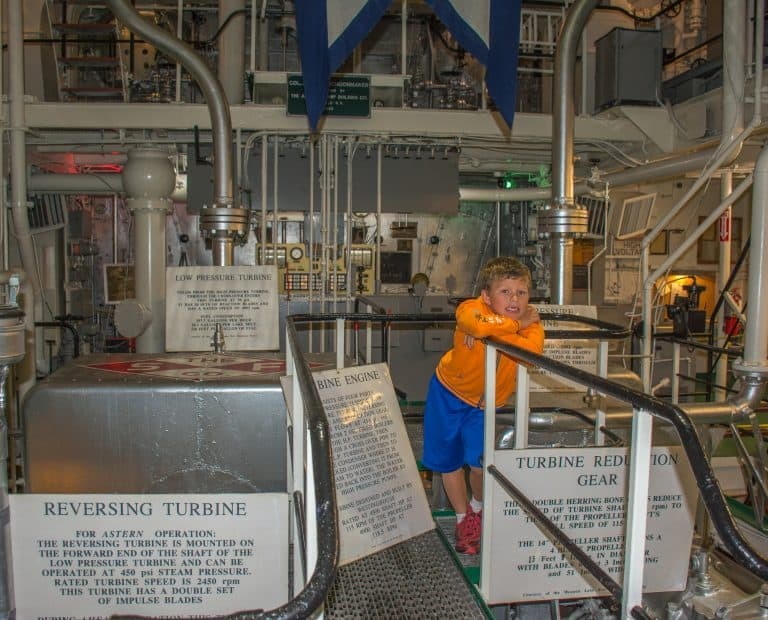 My son had fun playing that he was the ship’s engineer down in the engine room. Later, while my son pretended to pilot the ship, I enjoyed the view of Toledo. The view of the city of Toledo from the top of the ship is one the best around. Toledo’s Imagination Station, located in the heart of the city, is a modern children’s science museum. Kids from tots to teens will find exhibits that interest them at this hands-on science museum. Visitors over 54 inches tall can ride a weighted bike across a tightrope in the atrium of the museum, wowing the crowd twenty feet below. Another favorite exhibit for older kids is the “BOYO” where they can pretend that they’re a human yo-yo. As kids find a way to make the human yoyo work, they are learning about kinetic and potential energy. I especially enjoyed the shows at the Extreme Science Theater. During the show, the science educator did a fantastic job of interweaving science concepts between big demonstrations. Of course, the flashy science demonstrations with liquid nitrogen and fire are sure to keep the kids’ attention. Little ones are not left out. There are several spaces set aside for them including the Little KIDSPACE. Younger children are also sure to love the classic water table where they can play with water and sand witnessing erosion firsthand. The ball pit, an educational model for oil refinement, is also a hit with children of all ages. Every city has their own classic restaurant. In Toledo, that restaurant is Tony Packo’s. The menu at Tony Packo’s features many Americanized Hungarian favorites including stuffed cabbage and chicken paprikas with dumplings. However, if you’re looking for a true winner for the entire family, the hot dogs are sure to satisfy. Traditionally, Tony Packo’s Hungarian Kolbasz sausages are sliced in half and doused in flavorful chili. The restaurant is also known for their fried pickles, which are quite spicy! In addition to the food, Tony Packo’s is an entertaining place to eat. There are celebrity-signed hot dog buns lining the walls of the restaurant. Conveniently, Tony Packo’s is almost directly across the street from The National Museum of the Great Lakes and only 20 minutes down the road from Maumee Bay State Park. 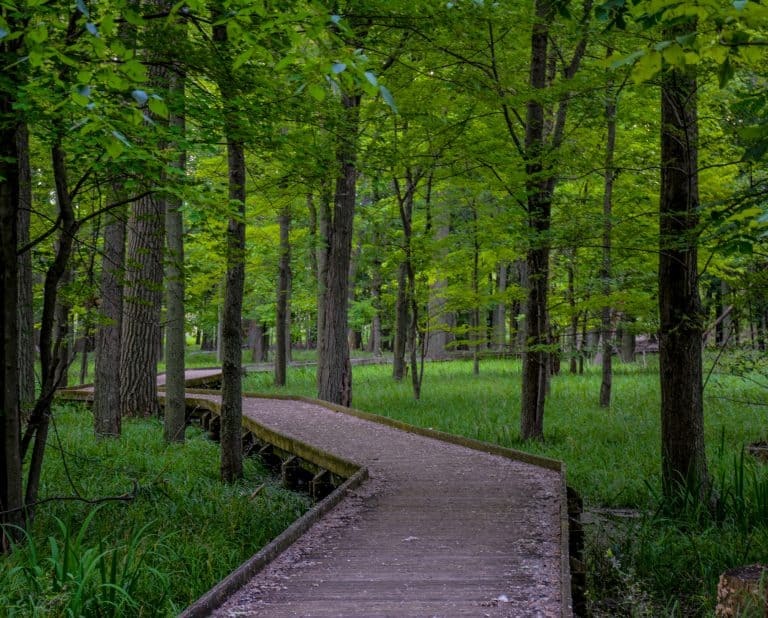 Toledo’s Metroparks are a great place for both local families and visiting families to find a playground, hike trails through the woods, or ride a bike. Toledo’s Wildwood Reserve Metropark is a favorite with locals because it has a large playground area and many short, shady trails. 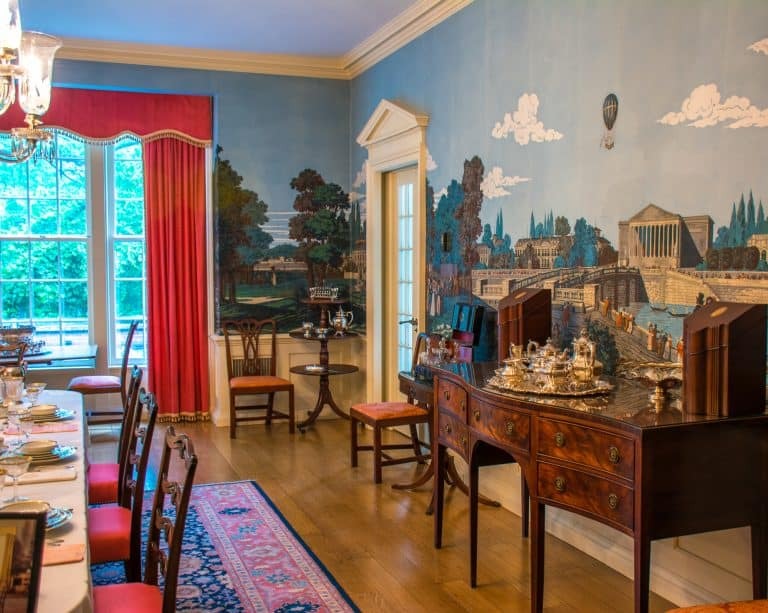 Visitors to this Metropark can also tour the R.A. Stranahan’s 30,000-square-foot Wildwood Manor House built on the property in 1938. The Stranahan family earned their fortune selling spark plugs to the local auto industry in Detroit. Thus, the Champion Spark Plug Company thrived, and the Stranahans became a wealthy and influential family in northwest Ohio. The Manor House and surrounding land was preserved as a Metropark in the 1970s after a notable local conservation effort. Another favorite Metropark in the Toledo area is the Oak Openings Metropark. It is the largest park in the system and features interesting sand dunes as well as rare migrating birds. The Toledo Museum of Art is often listed as one of the most popular tourist attractions in Ohio. Families will be happy to know that this free art museum is also a favorite for local families. During our visit, we saw several local families exploring the museum. 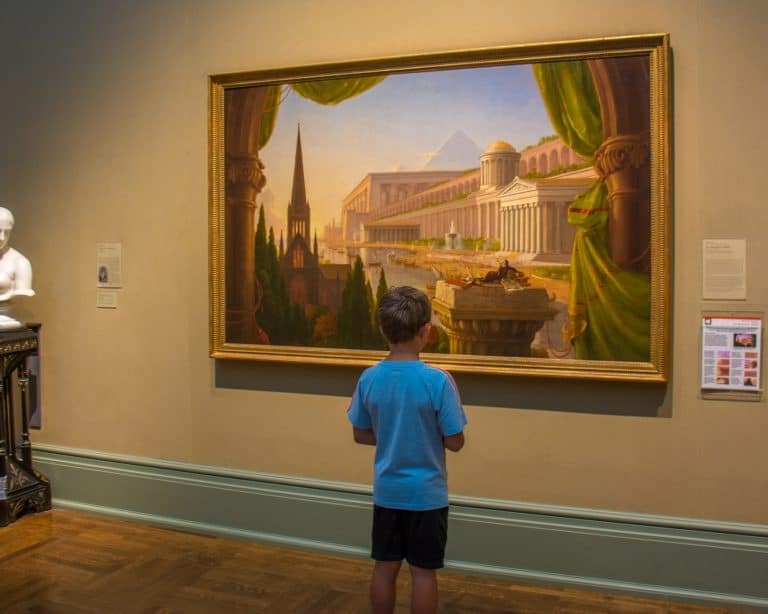 A highlight of the museum is the 1840 painting, The Architect’s Dream, by Ohio artist and architect Thomas Cole. Families can request a backpack with educational materials at the front desk of the art museum. These back packs help the children discover the elements of this painting and other specific pieces of art in the museum. Kid-friendly glass blowing demonstrations are also offered on a regular basis. These demonstrations recognize the city’s past as an industrial center for glass production. 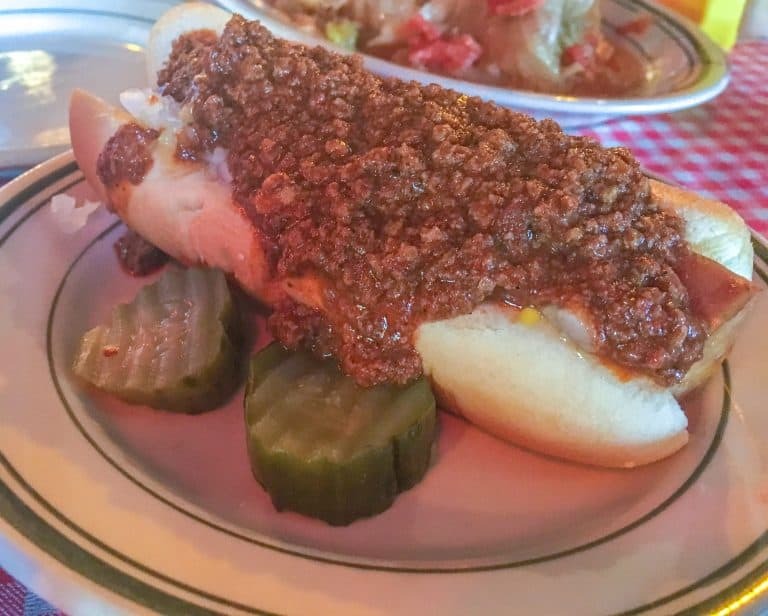 Schmucker’s Restaurant has been serving made-from-scratch American diner food at the same location in Toledo for just about 70 years. Families traveling through the area should certainly come by for lunch to enjoy a simple hamburger and fries. However, be sure to save some room for pie because pie is truly the highlight of any meal at Schmucker’s Restaurant. 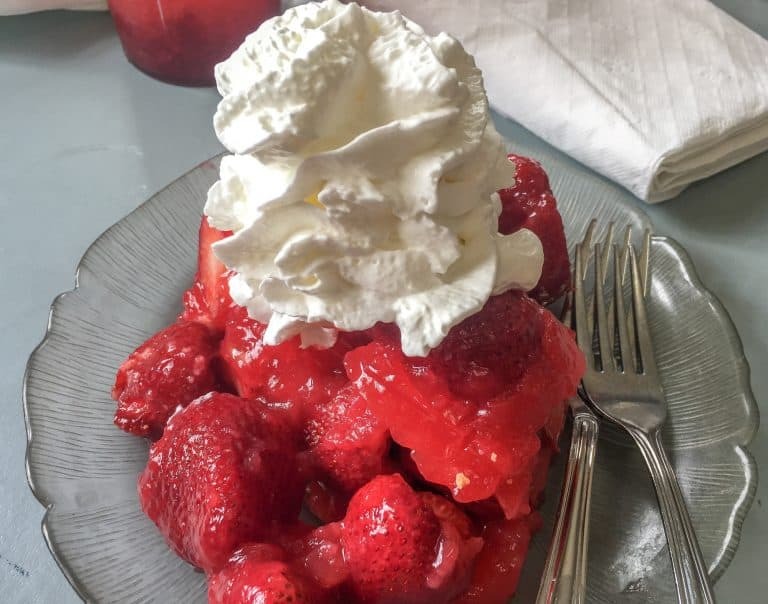 On a recent visit, I thoroughly enjoyed every bite of my seasonal, fresh strawberry pie. There’s good reason why it’s a local favorite on the ever-changing pie menu. Maumee Bay State Park is known nationally as a great place for bird watching; annually, the region plays host to the “Biggest Week in American Birding” due to its migratory bird population. The state park has inland ponds, sandy beaches, and, most notably, a boardwalk trail through a swamp forest and wet meadow. It’s not uncommon for families to spot the hawks and owls that make their home at this state park. The 1336-acre state park is also the perfect place for a family bike ride as it is remarkably flat and has well-managed network of bike paths. On the other hand, the Holiday Inn Express & Suites Toledo West is the perfect home base for a one or two-night stopover. It is a good choice for families looking to explore Toledo on a longer Interstate 90 in Ohio road trip to Cedar Point Amusement Park. 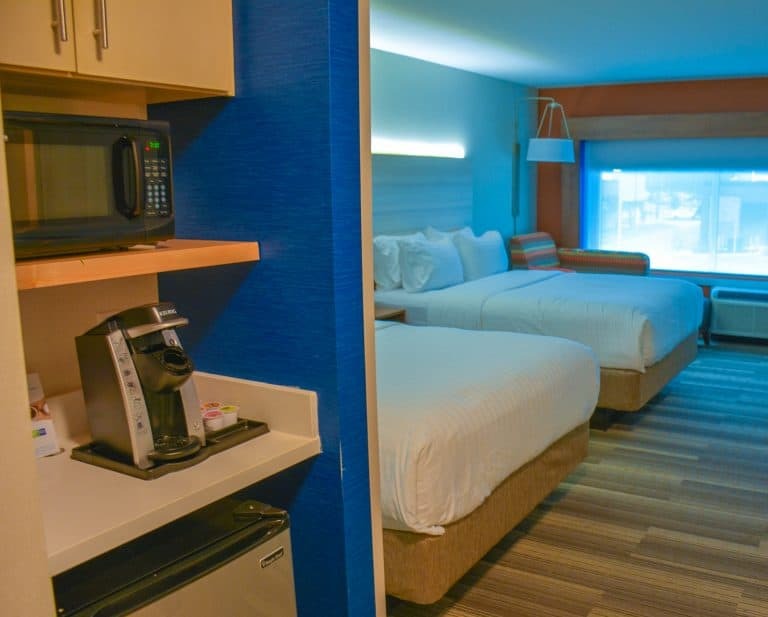 The Holiday Inn Express & Suites Toledo West is a relatively new property so it has a modern style and conveniences; it is certainly a great choice for families traveling through the area. Disclosure: My son and I were hosted by the Greater Toledo CVB on a media visit. All opinions are my own.